Wooden Ladder Art Loft is an art studio that allows all ages to explore each one's unique expression, reveal the joy of art, and discover your inner artist one step at a time. Heather Calloway Smith is the instructor at Wooden Ladder Art Loft. Heather grew up in King, North Carolina and has had a love for the arts her entire life. She has been blessed to follow her dream and open a studio where she can share her love of art, helping both children and adults get in touch with their inner artist. Her goal is to provide her community with an outlet from the business of life; A place where all ages can be inspired to express their creativity through various art mediums. New NEA Research Report(March 30, 2012) Shows Potential Benefits of Art Education for At-Risk Youth Have Better Academic Outcomes, Higher Career Goals, and Are More Civically Engaged. 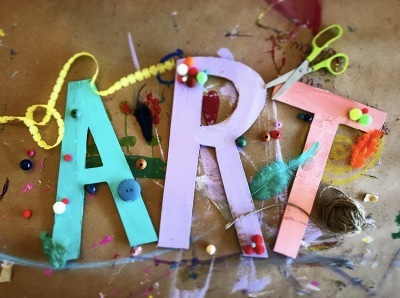 The study found that the more students are involved in art, the less like they are to present disciplinary problems. For example, those involved in art were more likely to go to all classes, not just art classes and ultimately graduate.